You are here: Our new team is ready for take off! Our new team is ready for take off! 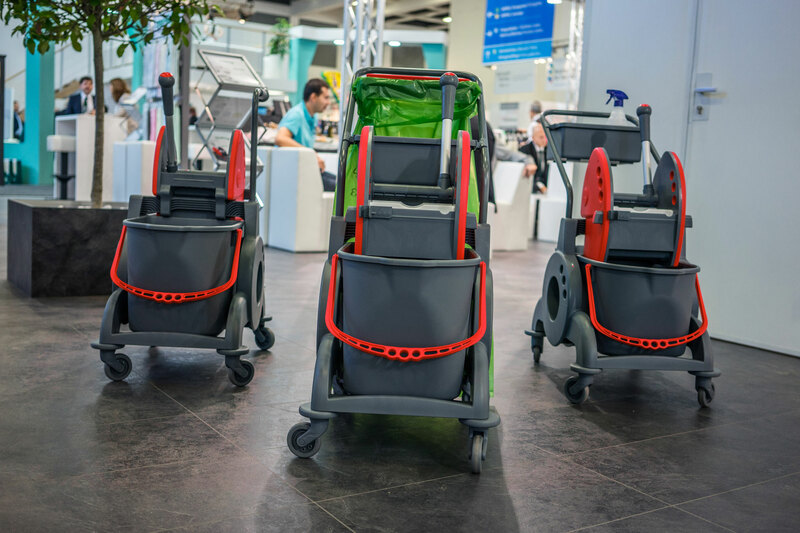 Highly functional, ergonomic, extremely flexible and elegant: The new 4T HighSelect trolley car series. This range combines modern design and technical innovation. Developed and manufactured in Italy, it convinces thanks to its great functionality and modern design. A reliable, flexible trolley car series, capable of making an impact. Thanks to its compact, rounded form and its manoeuvrability, the 4T HighSelect car series is also well-suited for use where limited space meets high demands. The series is made from plastic reinforced with glass fibres, which is manufactured using modern technical methods. This ensures that it is particularly sturdy, unbreakable and durable. The vertical press has been designed to make the whole operation effortless, convenient and at the same time extremely efficient due to its ergonomic construction. The trolley car series runs on SilentWheels, with a diameter of 80 mm, making it very quiet and easy to steer. The Easy & Clean coating makes it difficult for dirt and liquids to stick to the surfaces. This makes maintenance easier and improves hygiene. 4T HighSelect car 50 with two 25-litre bins.